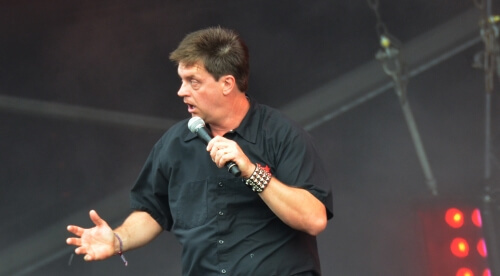 Jim Breuer is famous for him Goat Boy impression and always looking like he just smoked a joint. His comedy shows now focus on the crazy stories about his three daughters and taking care of his mother. He also love heavy metal, SLAYER! !, recently releasing an album of his own. Find an amazing selection of Jim Breuer tickets on Rad.Tickets. It's a show you don't want to miss!